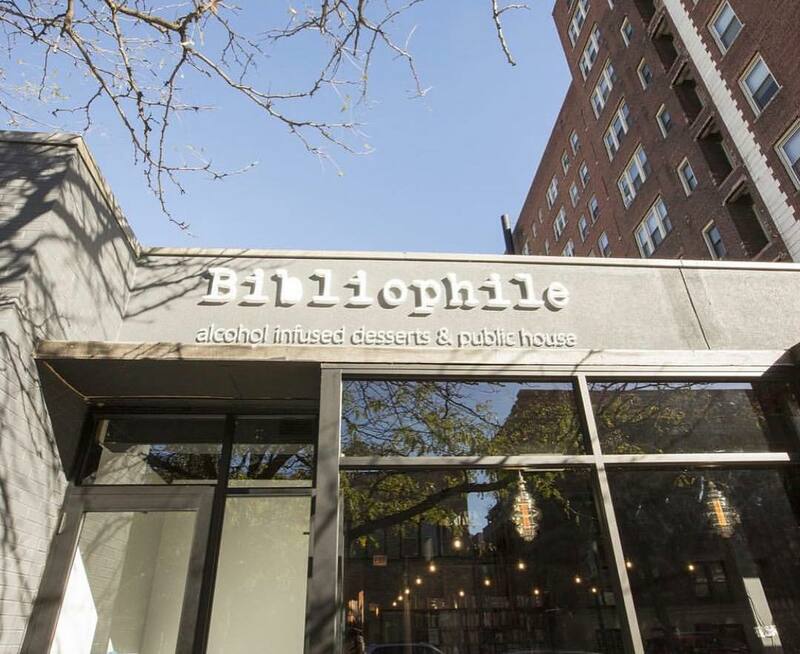 Bibliophile, which opened this week at 1644 E. 53rd Street in Chicago, "checks a lot of boxes that would make the bar and restaurant appealing to Hyde Parkers," Eater Chicago reported, adding: "Centered on alcohol-infused desserts from Fabiana Carter, the baker behind Fabiana's Bakery--the concept is unique. It's not a chain coming into Hyde Park trying to shoehorn in a new location. The space is also surrounded by books for sale covering diverse subject matter which is nice for an educated community like Hyde Park where the University of Chicago calls home." In addition to book-themed drinks like The Color Purple (a purple drink in a rock glass with basil garnish) and Great Gatsby, "the books that surround the dining room are for sale, and co-owner [with Brennan Nichols] Michael Scott Carter has hired a librarian/bartender to curate the selections. Sonya Smith holds a master's degree of arts in the humanities from the University of Chicago with an emphasis in literature. Not many bars have librarians on staff, but it's that level of detail the Carters have taken in developing the gastropub," Eater Chicago wrote. In August, the co-owners said that if Bibliophile takes off, they plan to open as many as 16 similar bars across the country and Canada, with Toronto as a likely first stop, though they would adjust the Bibliophile name and concept to suit each new location.